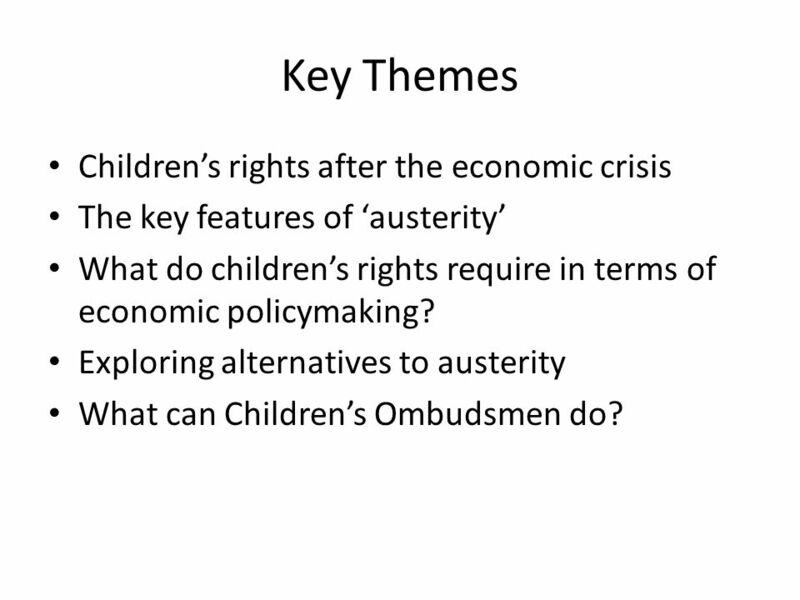 2 Key Themes Children’s rights after the economic crisis The key features of ‘austerity’ What do children’s rights require in terms of economic policymaking? 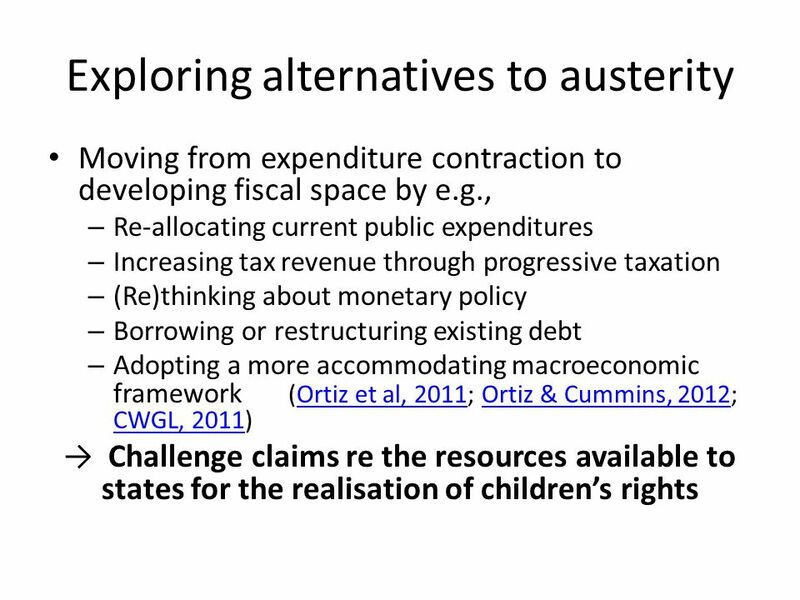 Exploring alternatives to austerity What can Children’s Ombudsmen do? 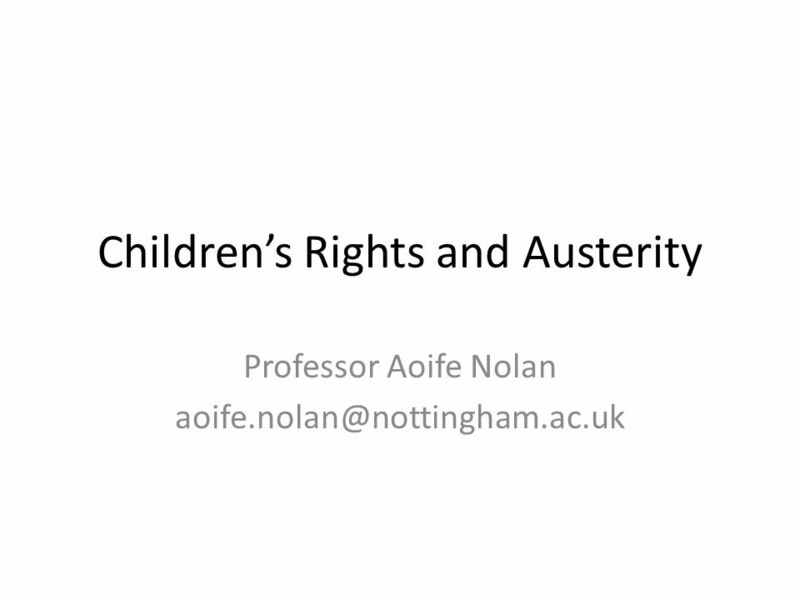 Download ppt "Children’s Rights and Austerity Professor Aoife Nolan"
Mission Impossible? 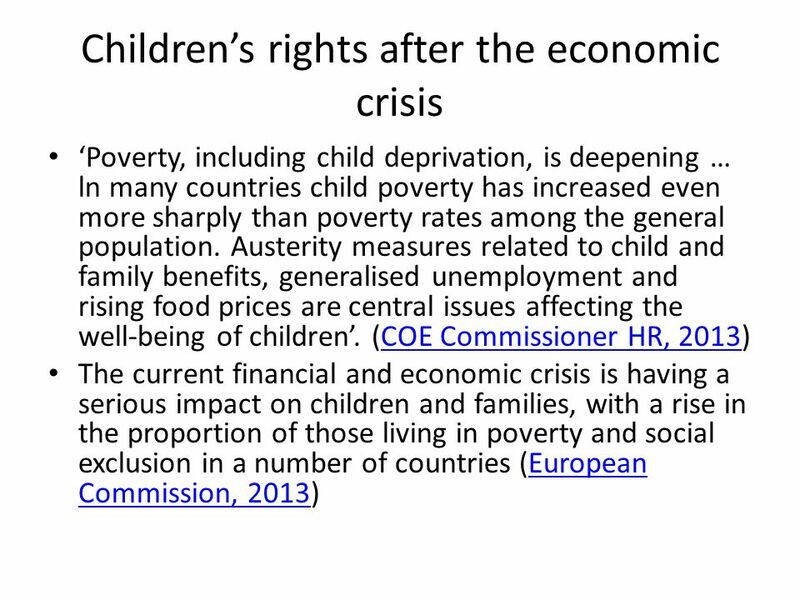 Ending Child Poverty in an Age of Austerity The Local Authoritys Perspective London Borough of Haringey Chloe Surowiec. UNESCO Centre Marina Monteith and Dr Una O’Connor Bones. UN Convention on the Rights of the Child Lessons to be learned for the UN Convention on the Rights of Persons with Disabilities. 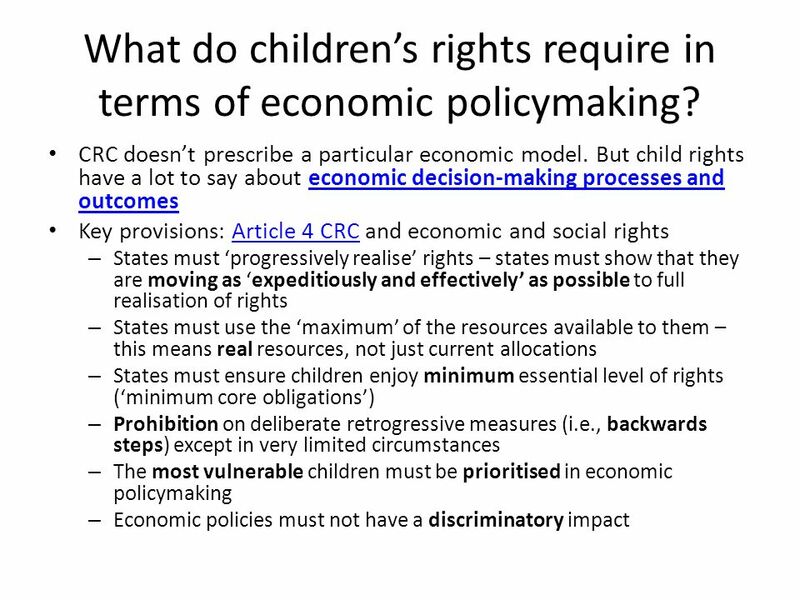 What are Economic, Social & Cultural Rights? Dr Liam ThorntonDr Liam Thornton, UCD School of Law & UCD Human Rights NetworkUCD School of LawUCD Human Rights. Structural Funds, Social Inclusion & the Convention on the Rights of Persons with Disabilities: The role of Structural Funds in promoting the social inclusion. 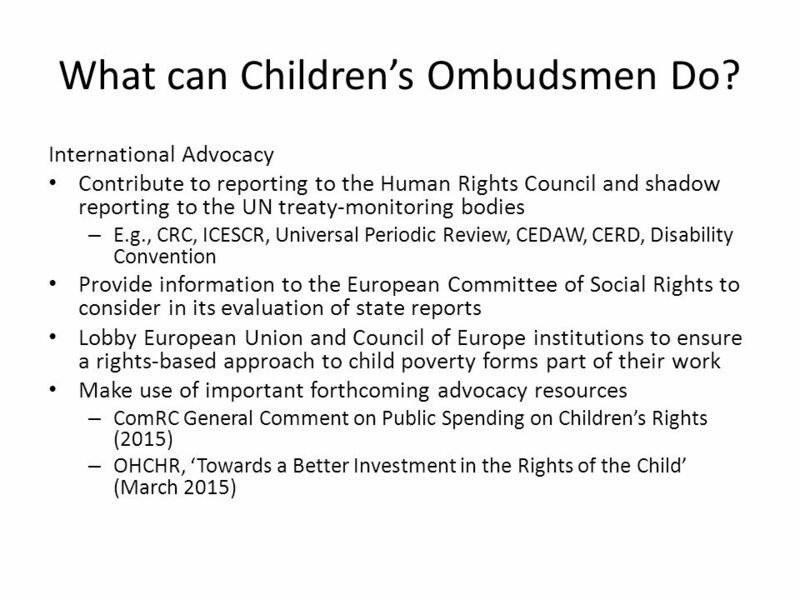  There is no such thing as a child-neutral policy  Every policy positively or negatively affects the lives of children  To comply with the CRC, the. 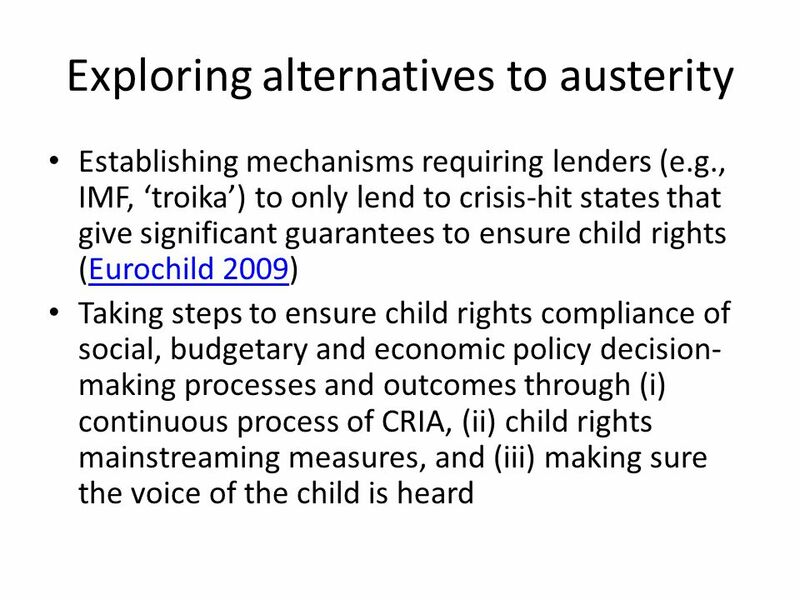 FROM CRISIS RESPONSE TO INCLUSIVE GROWTH By Chada Koketso. Marek Jakoby Advisor to the State Secretary Ministry of Finance of the Slovak Republic Vienna February 24, 2005 STRATEGY AND IMPLEMENTATION OF THE FUNDAMENTAL. C A U S E S International factors: -Increased Access to Capital at Low Interest Rates -Heavily borrow -Access to artificially cheap credit -Global finance. OHCHR Meeting April 2013 Radhika Balakrishnan, Center for Women’s Global Leadership, Rutgers University. 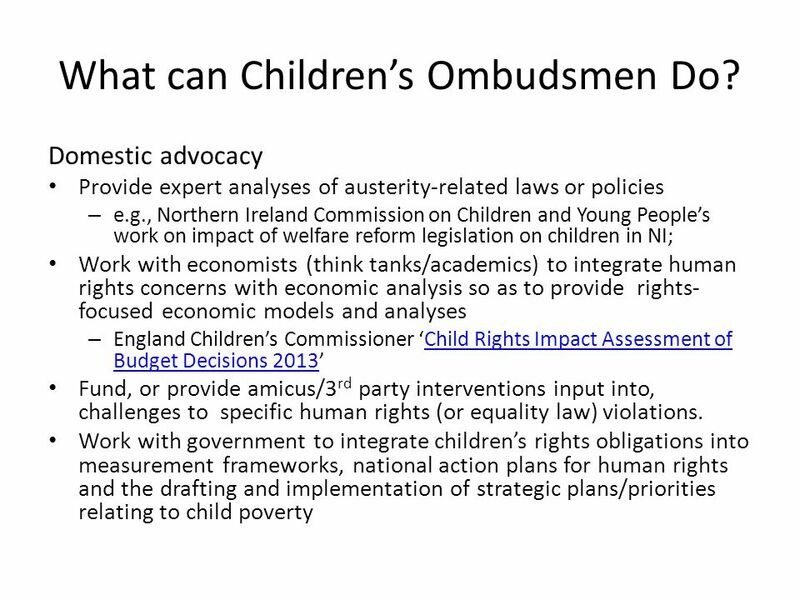 Brief Introduction to the United Nations Convention on the Rights of the Child (UNCRC) Children, Young People and Families Division Welsh Assembly Government. What are the policy instruments that the EU can use to implement a gender equitable economic recovery? Conference of the Foundation for European Progessive. Progress in protecting children‘s rights: challenges and opportunities Ministry of Social Security and Labour Asta Šidlauskienė 3 of desember 2014. 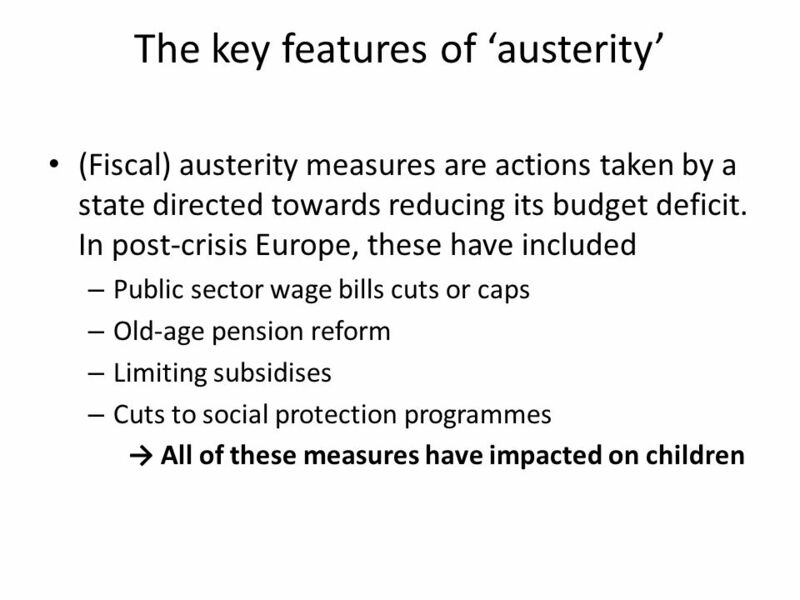 Contemporary Social Policy in the E.U. Professor John Wilton Lecture 2 Models of Welfare in European Union States: ‘old’ and ‘new’ convergence.